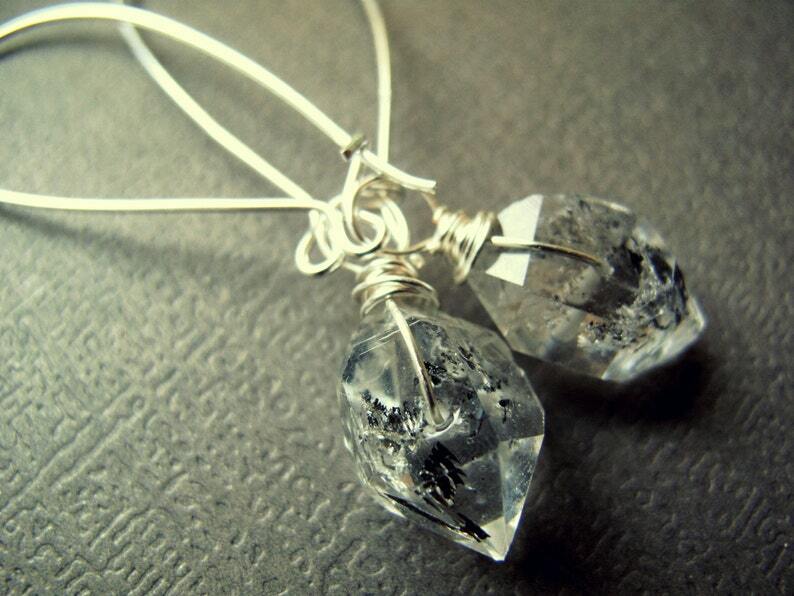 Make these alluring raw Herkimer style quartz earrings your new wardrobe staple! Simultaneously modern and earthy, these versatile beauties will look dazzling with anything in your closet! Raw double terminated Tibetan quartz crystals with black carbon inclusions sparkle alongside fine silver-filled wire wraps, and elegant long .925 sterling silver earring wires. 2.75 inches long and comfortably lightweight at about 2.5 grams each (about the same as a US penny). Crystals measure about 10-17mm long, not including the wire wrap. Ordering is easy! Just click the "Add to Cart" button on the right and check out using your preferred payment method. Your earrings will arrive will arrive thoughtfully packaged in an attractive, eco-friendly box- perfect for gifting! Personalized gift message available upon request. 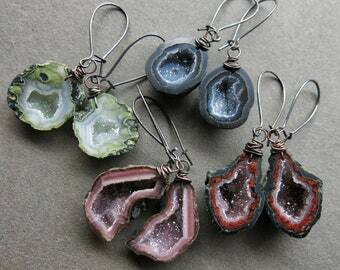 Each pair of our raw crystal earrings is one of a kind and hand made to order. Please allow 1-2 weeks for production. If you have a specific deadline, please let us know and we will do our best to accommodate you! One of the most energetically vibrant crystals on earth, Tibetan quartz is mined high in the Himalayan Mountains of Tibet. It is considered a master healer, said to dissolve negative energy and restore balance to the wearer. It is a powerfully grounding and earth-connective stone, allowing the wearer to tap into their intuition and intention. 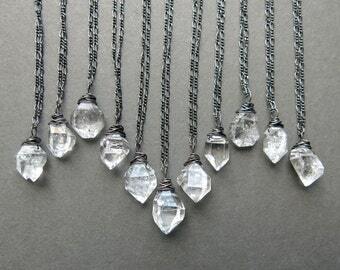 Double terminated quartz specimens have points at both ends and act as a bridge between any two points: two people, two places, two perspectives, two ideas, or between body and spirit. Positioned on either side of the head they triangulate their healing energy into the throat and psychic chakras. The inner world of Tibetan Phantom Quartz is occupied by black and gray speckles, lines, and pyramids, giving each crystal it's own unique personality. We will choose a pair of these amazing stones for you! All of our crystals are charged monthly by the light of the full moon and given a final energy clearing just before shipping! Please note, your crystals may vary somewhat in color and shape from the ones pictured. 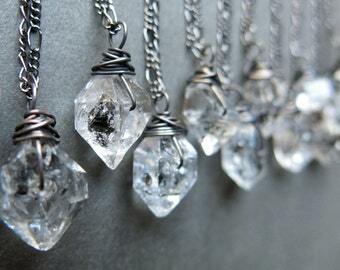 They can range from very clear and light with just a touch of black to darker and rich with intricate inclusions. If you have a preference for color or size, please let us know in the notes to seller when you check out and we will do our very best to make sure you receive a pair you love! OMG! These are absolutely gorgeous! It took a little while to get them, but so well worth the wait. I am so in love with these earrings!!! 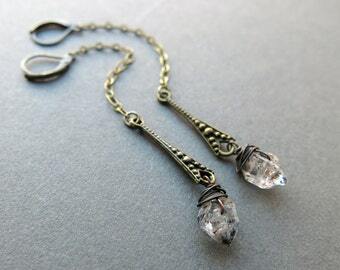 These are terrific earrings, made with wonderful herkimer ‘diamonds’, and of very lovely simple design. Thanks !